Being in the Top 100 in volume sales for Ford Dealerships in the Nation means we consistently sell vehicles in high volume. This benefits you because we have a larger, volume based inventory so we’re much more likely to have the exact new Ford you’re looking for. Selling in volume also allows us to price our vehicles more aggressively. We have been the #1 Volume Ford Dealership in Texas every year since 2005 and we consistently rank in the Top 5 Volume Ford Dealership in the Nation. The President’s Award recognizes dealerships that are best in customer satisfaction and it is given to only 15 Ford Dealerships in each region. Making customers happy is what we strive for and the benefit to you is that you can expect a best-in-class experience from a dealership that wants you to know we are your trusted friend in the automotive business. 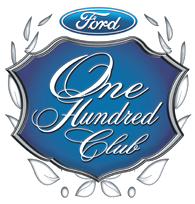 To be a member of Ford’s Premier Club, you have to be one of the top 50 retail parts purchasing Ford dealerships in the Nation. This benefits our customers in many ways especially when they come in for service. Due to our high parts volume, we are more likely to have the part you need in stock which saves you time and hassle.